US Polo Assn., a cast of a true athlete. US polo is a brand that is accredited by United states polo association. U.S. Polo Assn. brand products are authentic and officially sanctioned by the United States Polo Association, the governing body for the sport of polo in the United States since 1890. We are an international trademark that extends over around 135 countries including India for catering the finest and most easeful clothings .The minute you would see our commodity and the moment you would touch our fabric, you would instantly fall in love with it.We believe in getting for you extreme repose rather than just running behind fashion.the attaire we cater for you is leading quality with enduring style.If you are adventurous enough and you have vigorous spirit then this is one stop shop for you that has absolute range of all clothing material when you are looking for least and affordable price to suit your adventurous goals.We are an imprint and a reliance for being best tailored and for providing sound fabric that is longlasting . 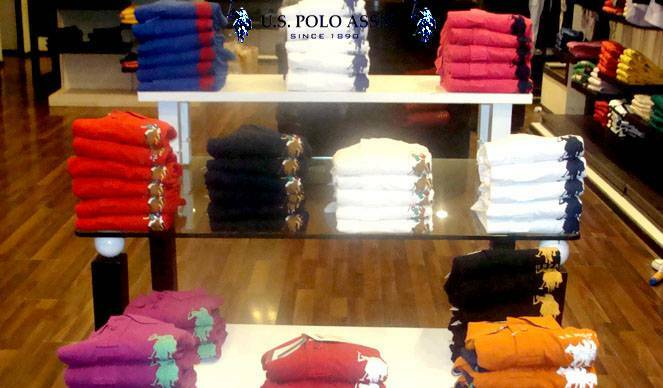 At our Udaipur celebration mall store you would find a posh cluster of formal and casual shirts. We also have a wide collection of 100% cotton shirts with a range of color texture and design. The T-Shirts especially polo T-shirt and crew neck T-shirts are what we are well known for. The clannish design elevates your robust personality and gives you immense feel of being a true athlete. Wide range of jeans like skin fit jeans, slim fit jeans and other bottoms like multi -cotton shorts , trousers and track suits are also available at our shop. We also have a collection of cool winter wears. So let your energetic spirit reflect itself creditably. Be a legendary sportsman and choose a brand of a legendary sportsman. The store is available at shop no. 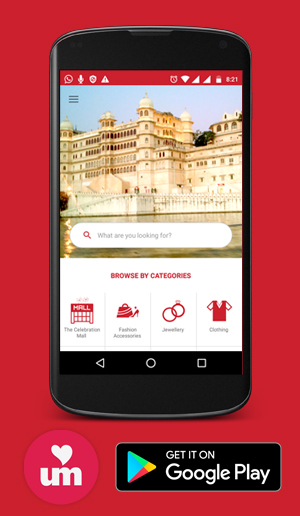 03, ground floor, The Celebration Mall, Udaipur.